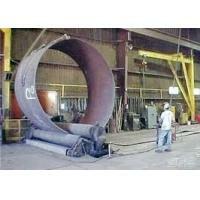 the thickness of 12mm can be bent into different diameter cylindrical tubes. 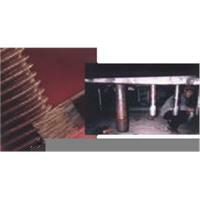 It is widely used in boiler, chemical industry, mining, construction, shipbuilding and other machinery industry. 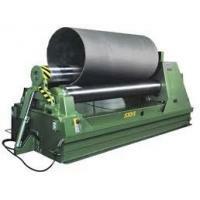 1, This is symmetric bending machine. 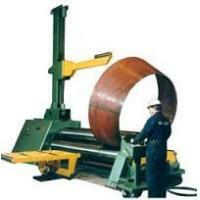 The cylinder rolling is completed by the upper roller which pressing to the lower one and the mutual rolling. lifting gears and some accessories. 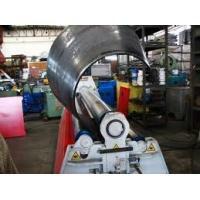 The lower roller is the main one, upper roller can be adjusted at the height. The transmission part consists with the main motor, speed-reducing motor and other accessories. to the two lower rollers through a group of gear wheel. The roller driving direction is switched by the main motor. 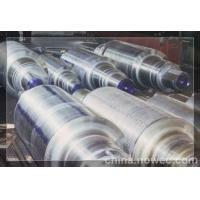 product can emerge from one end of the upper roller. andworm gear are 45 steel forged parts. 7, Electrical parts is adopted famous apparatus, steady performance, durable, safe and reliable, operates conveniently. 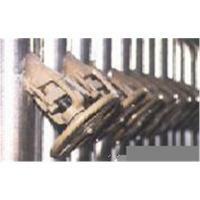 The company is one of subsidiary companies for "ST.KEY INTERNATIONAL GROUP S.A". Also the company has three factories in China: embossing roller factory in Changzhou, LED light factory in Kunshan, ceramic sanitaryware factory in Chaozhou. The factory of embossing roller is located in Wujin Industry Area in Changzhou China, and have high production capacity in China. 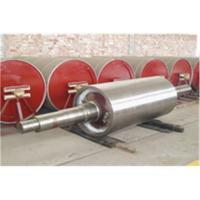 Up to now, we have become top 5 for embossing roller manufacturer in China due to our large production scale and leading technologies. With premium quality, we have gained a high reputation in both domestic and overseas markets. 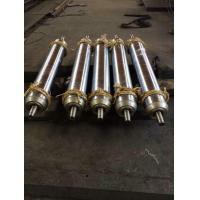 We control the procurement of raw materials strictly, relying on abundant technology, importing and taking advantage of occident advanced production techniques and equipment, improving our product structure continuously, and controlling product quality strictly. We also operate based on lean management and 5S management methods. All our products are manufactured in accordance with Chinese, EU and USA standards. Our R&D cente develops a lot of new products according to our customer's requirements. 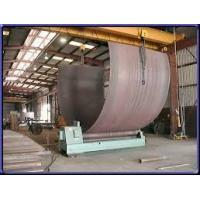 We have exported to many overseas markets such as Asian, North American, South American, European, Middle East, African, etc.